The 2017 Wimbledon Men's and Women's tournaments are underway at All England Club and we have selected the best tips and predictions for today's matches. 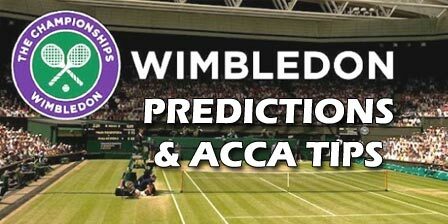 Find here our Wimbledon recommended bets and accumulator tips, possible surprises and best odds. "Today's Wimbledon predictions, betting tips and accumulators (Men's and Women's Tournament)"